Hauling around a heavyweight golf bag packed with things you really won’t need that day on the green may add strain on your back and muscles, and consequently affect your performance. 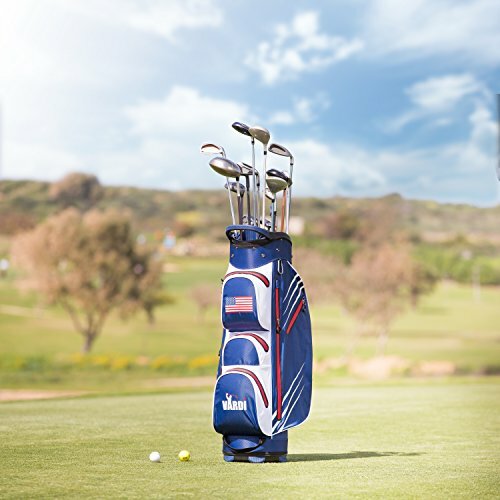 Unlike regular, bulky golf bags, most lightweight golf bags don’t come with a myriad pockets and divider systems, so you pack less of the non-essentials and only the gear you need. 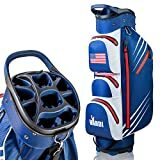 However, buying a golf bag that doesn’t weigh more than a few pounds when empty and comes with a fair number of pockets to stash your essential golfing gear can be a tricky task given the plethora of options available. We’ve narrowed down three of the best lightweight golf bags. Born in 1982, Callaway Golf is one of the leading names in the golf gear sector, and boasts a massive lineup of highly innovative and superior quality products. The 2017 Callaway Golf Hyper Lite 5 Stand Bag is the latest addition to the company’s portfolio, and comes with a wide range of excellent features topped by a lightweight and sleek design. The Callaway Golf Hyper Lite 5 Stand Bag, just as the name suggests, is fitted with a sturdy, alignment stick holder, which keeps the bag in place on the grass while you give it your best shot. Tipping the scales at just 5.6 lbs., the bag is equipped with a 7-way, full-length divider top that allows you to store the clubs you need, and gain easy access to them. In terms of storage space, the 2017 Callaway Golf Hyper Lite 5 Stand Bag hardly disappoints with 8 dedicated pockets including a water-resistant, velour lined valuables pocket. Adding to this, the bag, it is fitted with a black satin finished bottle hook/towel opener for unmatched versatility on the golf course. The bag is not only easy to carry owing to its lightweight footprint, it features an appealing design and is equipped with a comfort padded, single strap to carry it around with ease. If you’re looking for a lightweight golf bag that will serve you well for years to come, the 2017 Callaway Golf Hyper Lite 5 Stand Bag is worth a second look. Coming next is none other than the VARDI Lightweight Golf Cart Bag. For starters, it features a striking design, and can be used as a carry-on bag as well as a cart golf bag. 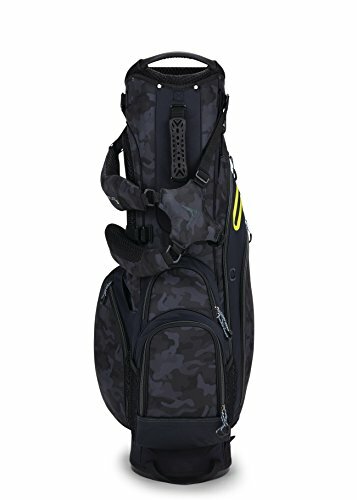 Weighing just under 7 lbs., the bag is crafted from a mix of high-quality nylon and ABS plastic, and comes with a 14-way divider to that keeps your clubs well organized, and prevents damage to their heads. The VARDI Lightweight Golf Cart Bag comes with an array of water-resistant, industry-leading YKK zippered pockets and holders including 2 large size front pockets; fabric pocket; a secret pocket to hold valuables such as keys, wallet and money; shoe and cooler pocket; and a carabiner glover holder. Further, is it fitted with a plush padded shoulder strap that offers top-notch ergonomic support and makes the bag easy to carry. Measuring 32” x 11” x 8”, the VARDI Lightweight Golf Cart Bag is generously spaced, and sits sturdily on the grass thanks to its onsite rubberized feet, and features a lower umbrella grip to secure your umbrella when not in use, and an upper umbrella grip to grab the umbrella easily during wet weather conditions. It even comes with a club cover, which is easy to attach and detach and keeps your clubs and their grips dry. The Frogger Golf Function Stand Bag features an appealing design, and was regarded as the Best New Product at the PGA Merchandise Show. Available in a choice of three color combinations – blue/black, grey/black and red/black – the bag is ultralight at just 5 lbs., making it easy to carry around. 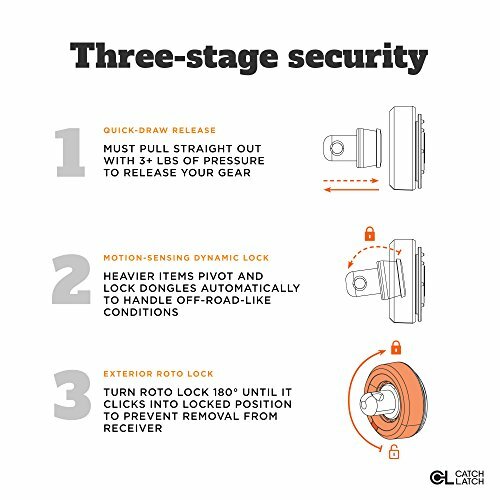 It comes with 7 pockets including dedicated slots for valuables, golf balls and tees, and two latch-it receivers, umbrella slot and rain hood. 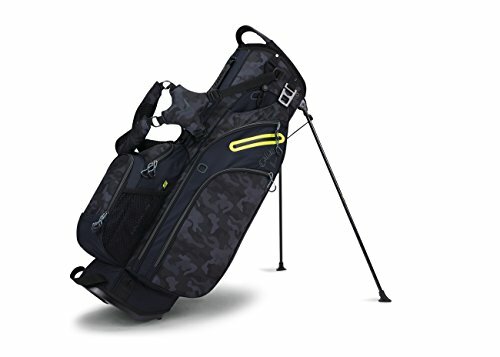 With regards to comfort, the Frogger Golf Function Stand Bag is fitted with ergonomically designed, dual shoulder straps, a robust tilt stand and ventilated back padding. Furthermore, it is a perfect fit for most golf and push carts, and features a cart strap pass-through channel tucked away behind the side pockets for easy access to Latch-It accessory and compartments. Lightweight at just 5 lbs. 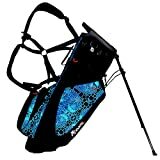 When shopping for the best lightweight golf bag, the three options mentioned on this list work well for both novice and seasoned golfers. The 2017 Callaway Golf Hyper Lite 5 Stand Bag features a compact design with a 7-way divider top and 8 pockets. But if you’d like to carry a few more clubs, the VARDI Lightweight Golf Cart Bag with its 14-way divider top is a great choice. 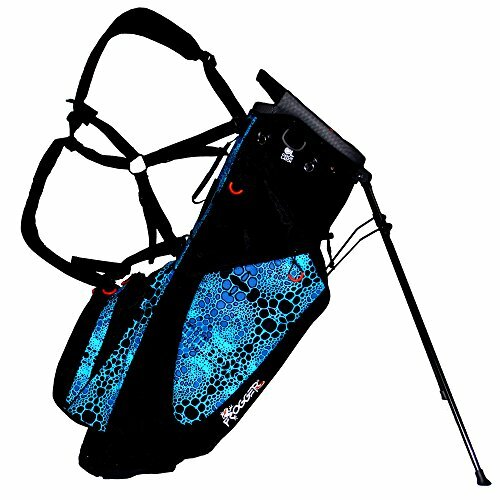 The Frogger Golf Function Stand Bag can be ordered in a choice of three colors, and comes with a handful of features only seen in higher priced models including two integrated latch-it receivers, and ventilated back padding.